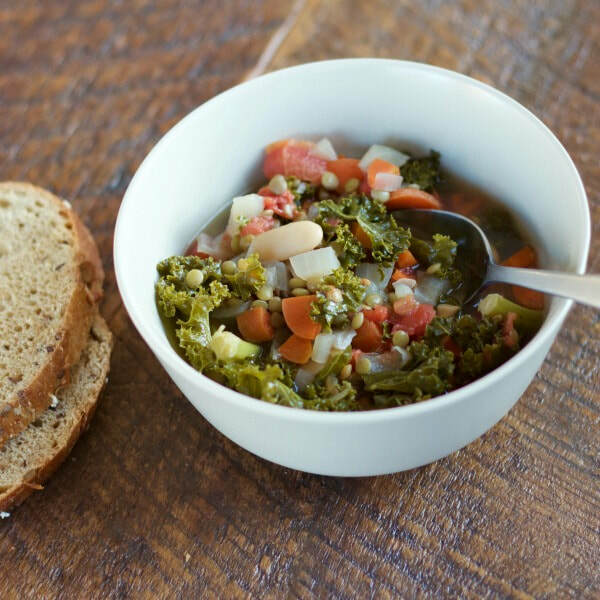 You can use frozen kale, frozen onions, and frozen carrots to make this a quick "pantry meal"! Keep those items on hand, and this instantly becomes your go-to meal when you can't get to the grocery store. Optional: Heat olive oil in a large skillet on medium heat. Add onion and garlic, and cook for 5-7 minutes, or until soft. Place cooked onions and garlic in the slow cooker and combine with rest of the stew ingredients.